Probably named after Osmunder, the Saxon name for Thor. In the legend he hides his family in a clump of these ferns. A small genus of ten species, mainly from temperate regions worldwide. 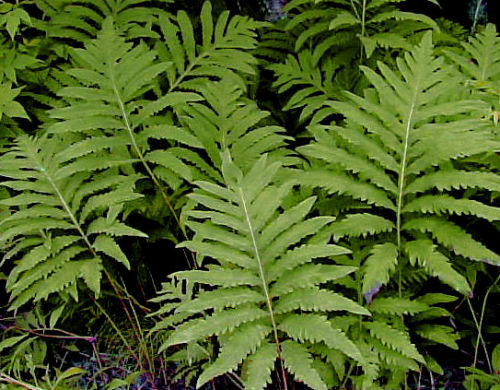 The hardy species are large, dramatic, deciduous ferns for damp areas and water gardens. They prefer acidic soil but will grow in alkaline soil if wet and enriched with compost. They prefer shade but grow well in sun if in permanently wet soil.